Nationally Critical -The West Coast Wildlife Centre welcomes Haast tokoeka chick number 101. The hatching season for one of the world’s rarest kiwi is well underway in the South Island with the arrival of the 101st Haast tokoeka chick to be successfully hatched at the West Coast Wildlife Centre in Franz Josef – since first opening in 2010. Significantly, over 327 Rowi and Hast tokoeka chicks have now been hatched at the West Coast Wildlife Centre in Franz Josef since first opening and is one of the very first public / private partnership between the Department of Conservation and private enterprise. The program is bearing extremely successful results. “It is a real privilege to be able to partner up to help 2 of the world’s rarest of kiwi that are both in immediate danger of extinction “says Benton. The Haast tokoeka is the most reclusiveness of all kiwi. They live in the most inhospitable environment which makes them very difficult to work with. Most of the area in which Haast tokoeka are found is covered by the Haast Kiwi Sanctuary, where they are actively managed through Operation Nest Egg and through the Department of Conservation re-instating the stoat trapping programme. What makes this particular chick so important is because it is from a genetically very important subpopulation found in the Arawhata river. 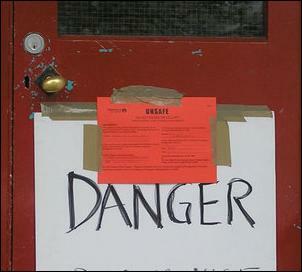 This area is also out of the “Battle for our Birds” predator control programme. Haast tokoeka are distinctive from other kiwi as they have down-curved bills rather than straight bills seen in other species. The West Coast Wildlife Centre is the South Island’s largest kiwi hatching facility and open to the general public from 8.30am daily. It has won the West Coast Leading Lights Awards and has been judged by Lonely Planet as one of its top 12 favorite places to visit in New Zealand, and is a Qualmark endorsed quality visitor attraction. From September to around January each year kiwi eggs are delivered to the Wildlife Centre by The Department of Conservation where the incubation, hatching and the early weeks of the chick’s health are closely monitored by the team. 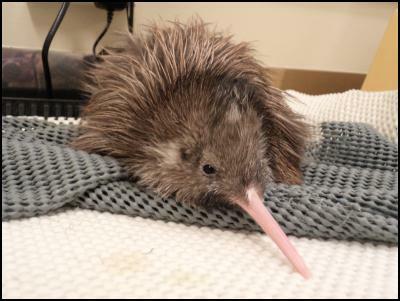 Numerous businesses, local dedicated people and visitors to New Zealand have proudly supported the West Coast Wildlife Centre’s kiwi sponsorship program, which helps the West Coast Wildlife Centre to fund purchasing kiwi food, incubation and brooder room equipment, veterinary products and improve the leading edge facilities.